While writing books or comics or in general, our mind gets short of names to name few characters. We think pretty much and end up writing the most common names. 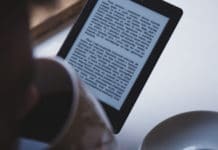 The character names play a major role in elevating the interest in the genre of a book or a story. When the character names are unique, the story remains highlighted in the minds of the readers. 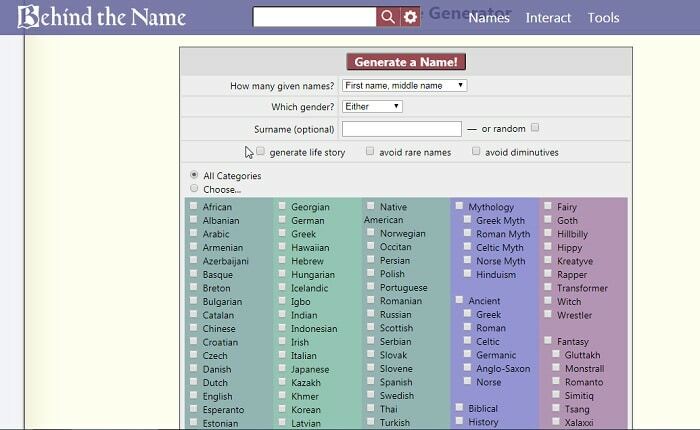 To help you with names, random name generator tools are available. These random name generators are used not only for character names in stories but also real human characters or pets. They are very special names, which are rarely heard. So, try these with your pets and start hearing applauds from your friends and family. Later, you can name your children or characters in stories. 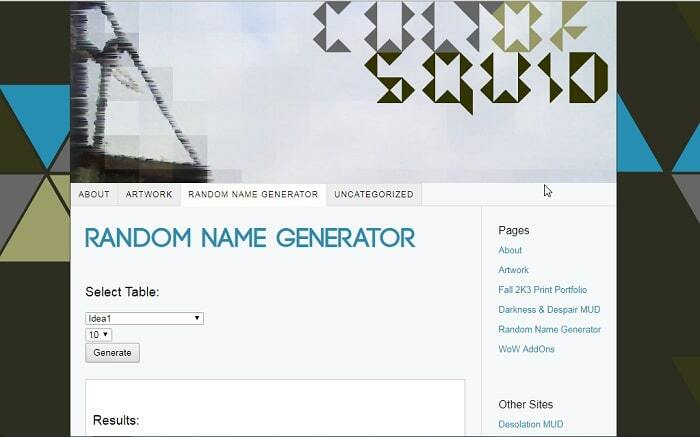 Here, we have listed best Random Name Generators that could be of best use to you in naming situations. 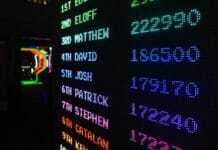 A list of ten random names of both genders is displayed. If you have a specific idea of gender, then select male/female from the drop-down list and choose the name style. The name styles are categorized as Common, Average and Rare. Common name style generates names that are commonly heard from people, Average name style generates names that are neither common nor rare, Rare name style generates names that are very rarely heard. 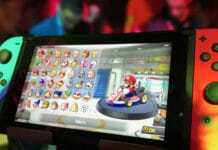 The list size varies from 10 to 100. If you want 25 names to be generated at a time, then choose 25 as the quantity value. If you want more, you can select one value among the four values from the list. List of Random Names, works as a random name generator. You can fill in the form and generate a list of names that match the conditions you have mentioned in the attributes in the form. 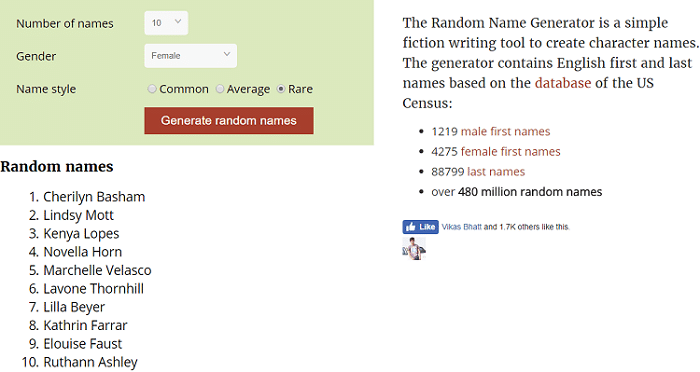 You can specify details like quantity, i.e., select the number of names you would like the generator to generate at a time, specify gender, etc. After filling the required fields, click on ‘Generate‘. A list of random names generate and display on the right side of the screen. If you like the names, you can export them as a list in a text area or a PDF, otherwise click on ‘Generate’ again to get a new set of names. Random Lists serves many purposes including random name generation. Setup quantity and click on ‘Refresh’ to get a list of names. It combines the first and last name to provide you a full name. 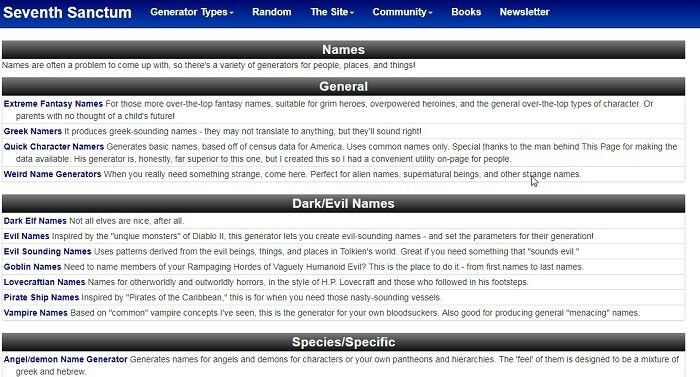 You can generate names separately for girls, boys, or even pets by selecting that specific generator on the website. 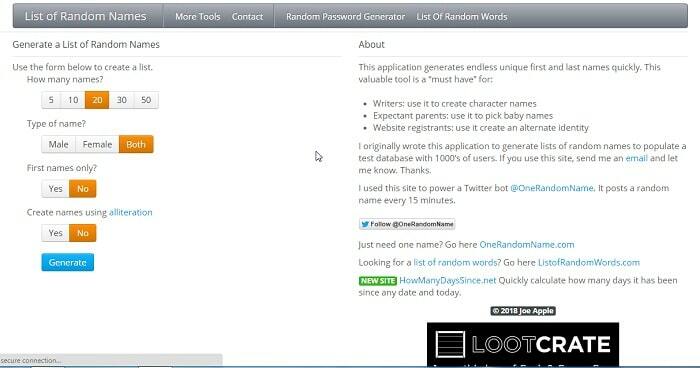 It is a simple and free generator with many random list generators embedded in the website. The Seventh Sanctum generates names of different characters ranging from humans to ships. You can even get names for your YouTube channel if you want. In the home page of Seventh Sanctum, choose one among various generators that suits your purpose and click on it. A list of random names generates by default. 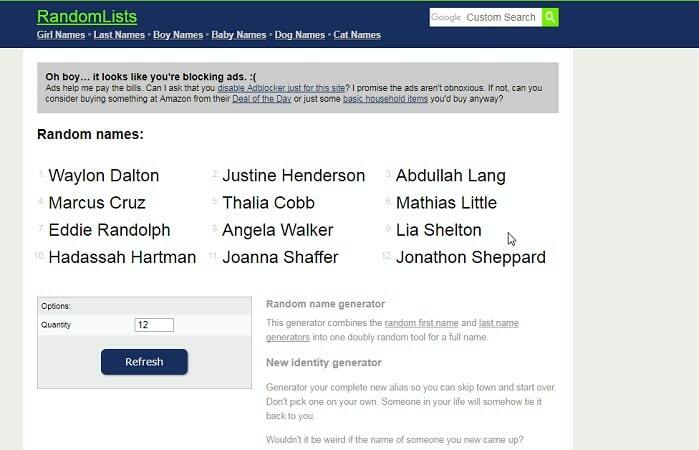 If you are not happy by the list, select the number of names to generate and click on ‘Generate More Names’. Repeat the process, until you are happy with the list. 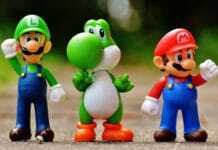 Its variable categories help you in various situations of naming characters or things accordingly. 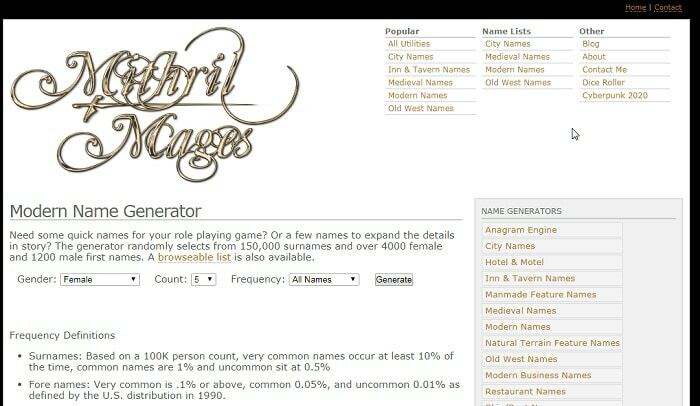 Mithril and Mages is a random name generator of various categories. If you want a modern name generator, go through the link and specify the attribute values to your desired value and click on ‘Generate’. It can generate 1,50,000 surnames, 4000+ female names and 1200+ male names. You can choose frequency as very common, unusual or all names. All names generate a combination of the three frequency names. 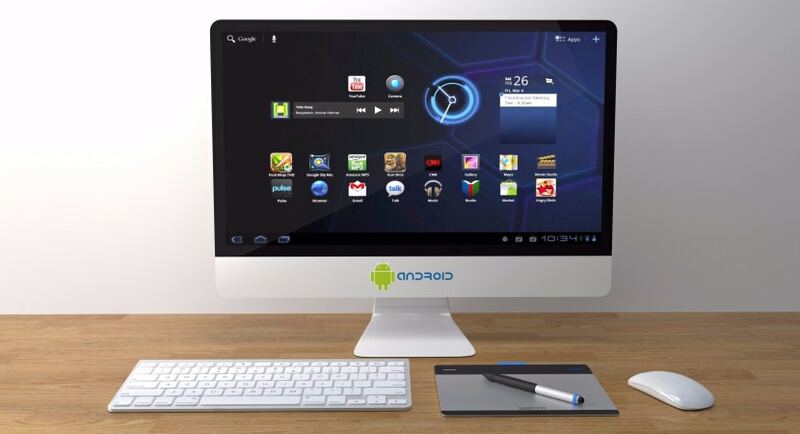 Behind the Name is a simple tool with a great user interface. It generates names that are demographic to a particular region. You can select a country and get names that are specific to that country. It supports around 90 countries and their related human names and surnames. On the homepage of the website, you get a form to fill, depending on which the generation of names depend. In the form, specify how you want the structure of the name to be, the gender of the name, surname if required or tick on random to generate a random surname, and choose options if required. Then, choose a country, if you want a country-specific name or select all categories to get a combination of all names. After setting up the details, click on ‘Generate a Name!’. 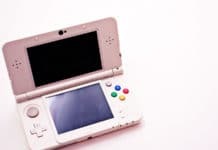 A single name displays on a separate page. If you are not happy with the name, repeat the process. Squid is a random name generator that takes the gender and list size as input and generates names accordingly. 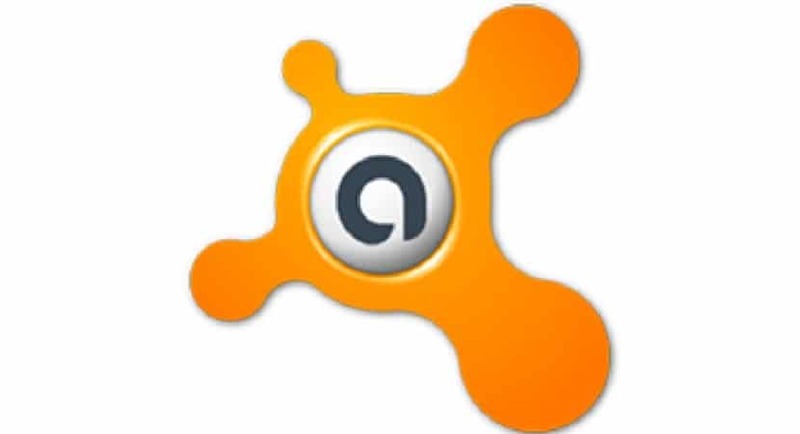 It is a simple tool with no complications. 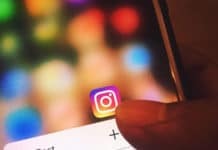 The list size can be 1 or 5 or 10. No other size has support. Choose one name from the generated names if you like any, or regenerate names until you get what you are supposed to get. Try it multiple times with no charge. Tamriel Rebuilt is an online random name generator. Also, you can select the race from the drop-down list to get names related to the race. Select a gender and count, and the count is the size of the list. Then click on ‘Generate names‘. The number of names generate and display below the form. Also, If you are not happy with the names, generate again.